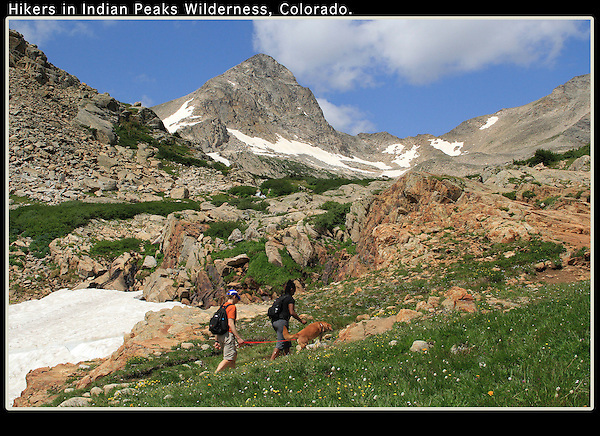 Hikers ascend to Blue Lake and Mt Toll, Indian Peaks Wilderness, just west of Boulder. Outside Imagery leads photo tours to Indian Peaks. Click the above CONTACT button for inquiries. Colorado tours by Outside Imagery.